Sunfolding was founded in 2012 with headquarters in San Francisco, CA. Sunfolding designs, manufactures and sells balance of system products that offer cost and performance breakthroughs to stakeholders across the solar industry. Currently, Sunfolding’s main product offering is an advanced solar tracker, the Sunfolding T29 horizontal single-axis tracker. Sunfolding’s executive team has collectively built and sold GWs of solar globally, successfully launching new solar products and technologies at leading solar companies including First Solar, SMA America, and Kaco. The Sunfolding team is a blend of top technical talent with recognized industry leaders. Jurgen Krehnke joined Sunfolding in August of 2017 as new CEO to lead the company into mass production and rapid business growth. Previously, he brought a turn-around to the 10-year old KACO new energy, Americas, business, where he expanded state-side manufacturing and supply chains and turned KACO into a top 5 regional inverter manufacturer. Prior to that, Krehnke was President & General Manager of SMA America, LLC, an inverter company that he successfully managed between 2008 and 2013 and turned into a well-recognized industry leader. Under his leadership the company grew more than 15-fold and established US and Canada based manufacturing as well as a nationwide service network, creating several hundred “green collar jobs” in the process. Mr. Krehnke holds a MEng from Germany’s Technische Universität Carolo-Wilhelmina zu Braunschweig and completed Executive Education Programs at Stanford. 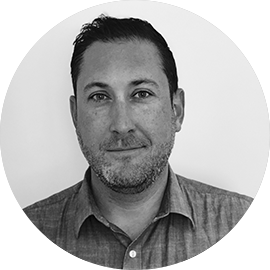 Matt Schneider has over 15 years of product development and product strategy experience. He co-founded RayTracker in 2008, which was acquired by First Solar in 2011. At First Solar, Matt served as the Director of Global Product Development for PV Mounting Systems. His team delivered over 3GW ($600M) of trackers worldwide. 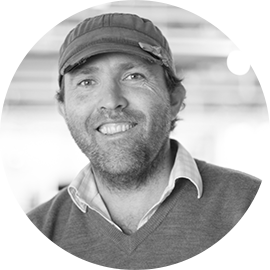 Matt has spent his career creating value by determining strategic routes through complex stakeholder requirements. Matt's experience includes tenures at Microsoft and NASA and he holds degrees from St. Olaf College and Stanford University. Karsten Mall brings over 10 years of experience in the solar industry and in international markets to Sunfolding as VP Sales. He supports the company’s continued growth with a focus on the United States utility-scale market. Karsten was most recently the Director of Business Development at KACO new energy, Americas, a global inverter manufacturer, where he contributed to the company’s success through revenue generation and new market development. Lisa Karlin serves as VP, Manufacturing Operations at Sunfolding. Lisa is an experienced operations and engineering leader with over 25 years of experience across multiple industries. Lisa brings extensive high-volume manufacturing, process engineering, and R&D knowledge to the team. Prior to joining Sunfolding, Lisa held senior leadership roles at Motorola, First Solar, GT Advanced Technologies, Baselayer and Stir. During her career, Lisa gathered several notable distinctions including listings as an inventor on ten United States Patents. Lisa graduated from Arizona State University with a BS in Chemistry. Dr. Saul Griffith has multiple degrees in materials science and mechanical engineering and completed his PhD in Programmable Assembly and Self Replicating machines at MIT. He is the cofounder of numerous companies including Makani Power (acquired by Google) and Instructables (acquired by Autodesk.) Saul has been awarded numerous awards for invention including the National Inventors Hall of Fame, Collegiate Inventor's award, and the Lemelson-MIT Student prize. In 2007, the MacArthur Foundation awarded Saul a “genius” award, calling him a prodigy of invention in service of the world community. Leila Madrone builds breakthrough energy technologies using her extensive engineering prowess at the intersection of mechanics, electronics, and software. She has spent the past 12 years developing new energy solutions for grid applications, and, since founding Sunfolding in 2012, has focused on building machines to make solar an unstoppable force in the clean energy transition. An MIT-trained roboticist – she received both her bachelors and masters in Electrical Engineering and Computer Science, with a focus on robotics and mechatronics – she has a talent for bringing innovative technology from concept to market in high-tech industries. Her early career included automation for the genomics industry and the commercialization of NASA robotics hardware. She served as Sunfolding’s CEO until August 2017, and now, as CTO, she drives overall company technical excellence and develops impactful solutions for the future grid. 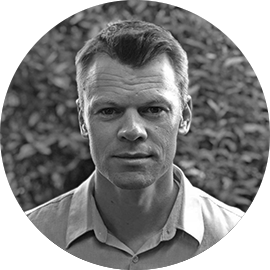 Ryan Kelly joined Sunfolding to develop long-term growth opportunities, build strategic business relationships, and continue to grow market share and expand into new markets. With over 10 years of solar industry experience, Ryan has contributed to the commercial and technical success of over 2 GW of solar projects. Prior to Sunfolding, Ryan was VP of Sales and Marketing at Schletter Inc., a globally recognized leader of solar mounting products, where he led a committed team of experienced solar mounting professionals. Wesley Fuller has deep expertise in forging and managing relationships across key diverse stakeholders, and takes a data-forward approach to delivering lasting value for customers. He was previously Director of Sales for Schneider Electric, where he was responsible for the company’s growth in the Americas region. He has over a decade of solar industry experience, and has delivered equipment into over 3GWs of utility scale projects, including some of the largest projects in North America. Gwen Rose is responsible for corporate brand, communications, and integrated marketing at Sunfolding. Gwen has more than a decade of experience in operations and business strategy in solar, running federal, state, and municipal solar projects and programs. She has worked on legislative and regulatory efforts to establish and build solar markets across the country. Prior to Sunfolding, Gwen was Director of Operations and Strategic Initiatives at Vote Solar. Gwen graduated from the University of California, Berkeley with a degree in Physical Science. John brings over 20 years of experience running operations at hardware companies in the automotive, solar, and semiconductor industries to the Sunfolding team. John directs Sunfolding’s supply chain strategy, working with suppliers at the executive level to control costs and develop logistics capabilities that accelerate material movement and ensure availability. John has held executive leadership positions at both startups and Fortune 500 companies including Mainstream Energy, Skyline Solar, and Applied Materials. His expertise spans new product introduction, supply chain development and management, manufacturing engineering, and logistics.